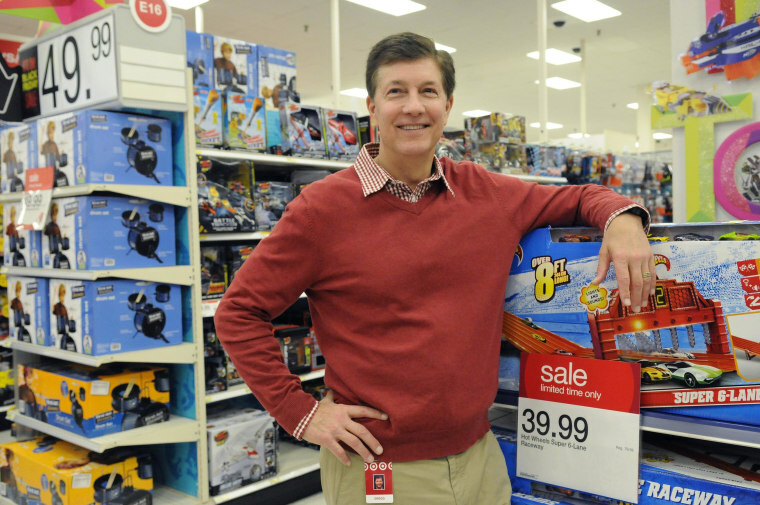 Target's chairman and CEO Gregg Steinhafel stepped down from both roles on Monday, effective immediately, after a huge data breach that hit millions of customers shook shopper confidence and lacerated profits. "Today we are announcing that, after extensive discussions, the board and Gregg Steinhafel have decided that now is the right time for new leadership at Target," the board said in a statement released on Monday. The company has appointed its chief financial officer, John Mulligan, as interim president and chief executive. Board member Roxanne S. Austin has been appointed as interim non-executive chair of the board. During the transition, Steinhafel will serve as an adviser. Target announced in December it was the victim of a cyber attack that resulted in the theft of at least 40 million payment card numbers and 70 million other pieces of customer data. Brian Sozzi, Belus Capital Advisors' CEO & Chief Equities Strategist, said he expected Steinhafel's departure to have occurred a few months ago ahead of the spring selling season. "The fact that they're doing this now indicates that the first quarter may not have improved from the holiday quarter," he said, adding that he views Steinhafel's exit as a "long-term positive for the stock." This is the second C-suite departure at Target in as many months. In early March, Target CIO also resigned.